We unveil eight of the best Instagram accounts for wow-factor wedding ideas. Step aside, Pinterest! Check out these wedding Instagram accounts, where you’ll find unique, unforgettable and utterly beautiful wedding inspiration for your dream day. Happy browsing! Go big or go home! From epic floral sculptures to flowers that hang from the ceiling, you’ll find the dreamiest and most luxurious wedding flowers here. Not every wedding budget will stretch to such large-scale floral displays, but you can still find wedding inspiration for flower types, colour schemes and arrangement styles to guide your own planning. From boho to classic, you’ll find the prettiest styling wedding ideas showcased here. Majoring on real couples with the odd campaign photo thrown in, the looks are incredible but also achievable. The big things, the little things, the lovely things. If you’re detail-obsessed when it comes to wedding inspiration, you’ll find all the table runners, place settings and reception décor ideas you could wish for shared by The Wedding Of My Dreams. Ombre icing? Check. Naked cakes? Check. Sugar flowers? Check! You’ll find exquisitely decorated wedding ideas for cakes, bakes and dessert tables on this Instagram feed, with a handful of other wedding inspiration thrown in for good measure. Throwing tradition to the wind to create a day that is perfectly you? Then you’ll find your wedding ideas bible over at Rock My Wedding. From outfits to outdoor receptions, your imagination is about to run wild with unique wedding inspiration! This is your one-stop destination for watercolour sunsets, infinity pools and turquoise oceans on tap. Start your honeymoon destination hunt here. We might be best known for our hand-picked selection of Britain’s best wedding venues, but we don’t stop there. 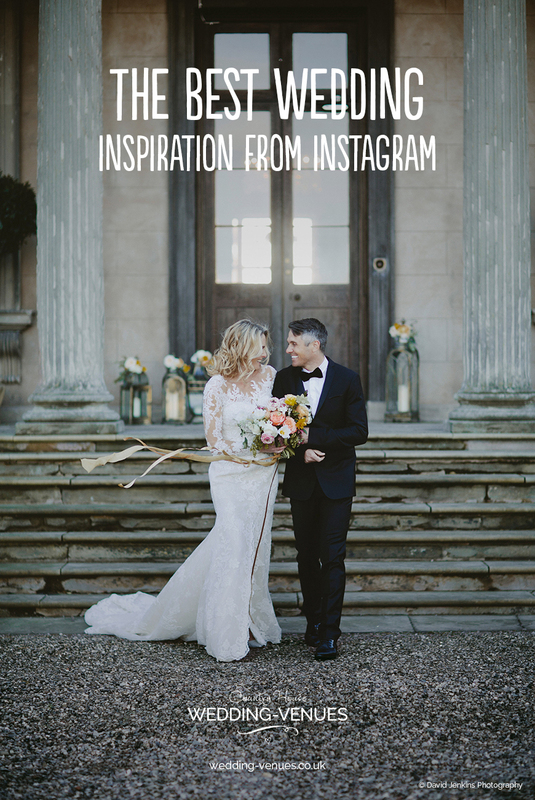 Head over to our Instagram for real wedding snaps, super-pretty styling tips and the very latest wedding ideas and trends.